Fasting is probably the oldest known method to cleanse your body featured in holy texts of the leading religions. Although in the Christian tradition Advent time is associated with fasting, in fact it is the time when people tend to eat more as Christmas treats are nowadays available in shops from just after Halloween and they tempt us from supermarket shelves and then at Christmas markets. It is hard to resist, however at some point there comes time for reflection. This time is now, after Christmas. Fasting is a great method of detox, however it may be dangerous if you do it on your own at home unless you are assisted by a nutritionist. There are many resorts, which offer fasting holidays. Before you choose what to do, have a look at different types of fasting. 1) Alkaline fasting (sometimes called base fasting)- exclusion of acid-producing foods. 2) Water fasting – replacing substantial amounts of food with water. 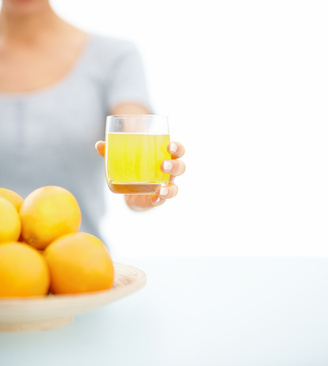 3) Fruit fasting- similar to alkaline fasting, based on fruits and fruit juices. 4) Fasting by Dr. Buchinger – based on liquids (juices, water and infusions). 5) F. X. Mayr fasting – based on tea, milk and bread rolls. In my opinion the most interesting one is alkaline fasting. Although I have never tried a complete alkaline fasting program I have some personal experience as every time after Christmas at home my mum served us alkalising foods with millet and flax seed and they brought a relief for our digestive systems. Alkaline fasting is based on the premise that we should eat in moderation (or rather avoid!) acid-producing foods such as meat, most of diary products, sweetened foods, salt, most of grain products and caffeinated drinks. Instead, we should eat more fruits and vegetables as most of them are alkaline-producing. Note an interesting fact that actually alkaline fasting is very similar to the conventional concept of a balanced healthy diet (less fatty meat and sweets, more fruit and vegetables) although the underlying premise is different in both concepts.